Today marks the 17th year of Formula One in Malaysia, with the teams and cars travelling from Melbourne to Kuala Lumpur for the second leg of F1 season. Yesterday I welcomed the 17th year of Formula 1 in Malaysia at the Petronas Malaysia Grand Prix Gala 2015 where the teams principles, drivers, and members of several royal families were the guests of honour. 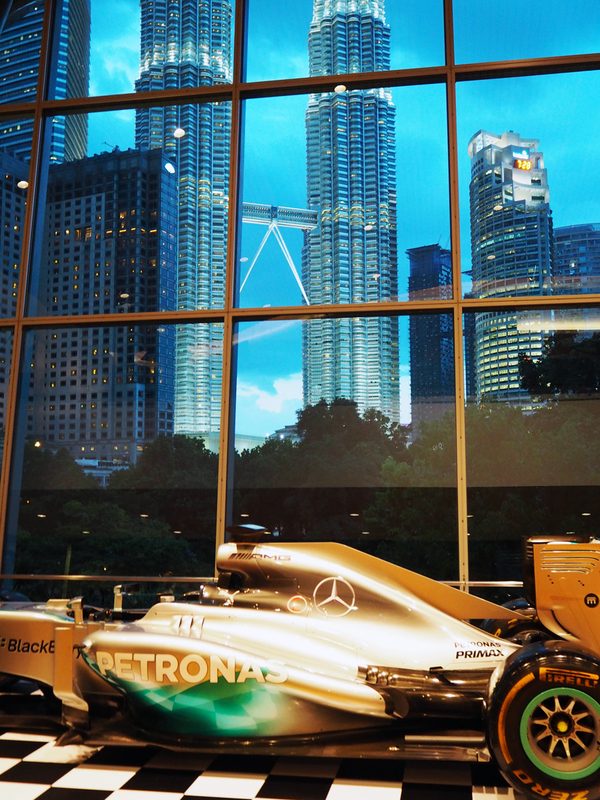 The Petronas Malaysia Grand Prix Gala 2015 kicked off with a red carpet reception by E! channel’s Fashion Police George Kotsiopoulo. Socialites air-kissed this way and that, careful not to tread on each other’s gowns. I threw a couple of shapes for Tatler while inwardly bemoaning how my hair’s voluminous curls had straightened out en route thanks to the tropical weather. Guests were ushered into the ballroom where most of the seating was free (democracy gone mad!) and dinner was a self-serving affair from the many 'food stations’ (really a ‘rich man’s buffet’). I ran into several friends and acquaintances over the course of evening; which saw a fashion showcase by the 'King of Vintage', designer Cameron Silver and a charity auction for Bidara Kedah where two autographed racing suits belonging to Lewis Hamilton and Nico Rosberg were up for grabs. Afterward, guests filed out of the ‘ballroom’ onto the red carpet to greet our royal guests of honour before being ushered to the Plenary Hall where we would be entertained by the Jackson Brothers. Jackie, Tito, Jermaine, and Marlon played many of their top hits and a tribute to Michael, and I must say that they’ve still got moves! You could hardly tell they were in their 60s (apart from Marlon who is 58) - ‘black don’t crack’ came to mind. It was a nostalgic trip for many who grow up with their songs, myself I legit teared at ‘I’ll Be There’. I'm wearing an Aidan Mattox gown with Saint Laurent tributes and my arm candy is Louis Vuitton. 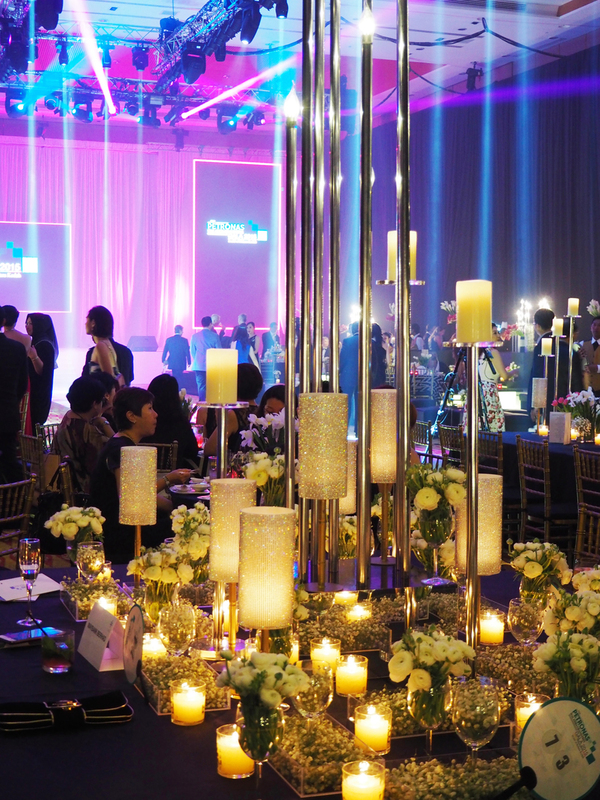 What is it about purple-pink light and why is it always present at galas, balls, and events? Answers on a postcard, please. It's easy to spot the Formula One team and drivers in a sea of well-dressed socialites - they're the ones dressed casually. Ran into Jolyna and Chris who've just come back from their Hawaiian honeymoon. Aloha! A display of vintage haute couture by Cameron Silver, showcasing a retrospective of the 20th century with dreamy creations by Valentino, Chanel, Balenciaga, Oscar de la Renta floating down the runway. The Jackson brothers - Jackie, Tito, Jermaine, and Marlon - got a theatre full of notoriously reticent Malaysians waving and dancing along to their medley of infectiously upbeat hits like ABC and I Want You Back. We were treated to touching videos of the Jackson 5 as bright, hopeful boys sharing a room in Los Angeles as they tried to get their big break in the music business. It was incredibly touching and sweet to see footage of Michael as a child, playing pranks on his older brothers, and indeed the evening's tributes to the fallen Jackson brother was bittersweet even as everyone present cherished his memory. I wasn't expecting an emotional end to the night, but there it was. When the concert ended I skipped out on the after party. Instead, the moment my driver shut the car door shielding me from view of the public I kicked my heels off, put my feet up, and declared (to noone in particular) "Get me a Spicy Chicken McDeluxe!" because I'm no spring chicken, although that's never stopped me from having a ball. Ha! Looks like such a great night! Amazing that you got to see the Jackson brothers perform! Spicy Chicken McDeluxe is my staple go-to, too. High five, girl friend. What a beautiful event and you looking stunning! How funny that you ended such a glam event a McD's! The ball looks like such fun! I love your dress! Perhaps pink-purple light is more flattering? Wonderful photos! Looks like you had a great time! You look stunning! I have so many beautiful dresses and no balls to wear them to haha! Also that building with the walkway in the middle looks terrifying! What a gorgeous evening.